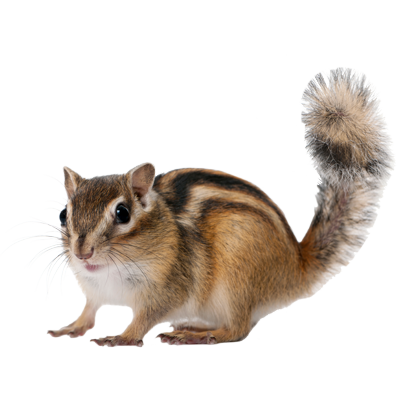 Chipmunks are small rodents. They are approximately 7-9.8 inches in length. They tend to look smaller than squirrels, having less mass, and a smaller tail. They are usually brownish-reddish in color and have stripes down their backs and face.